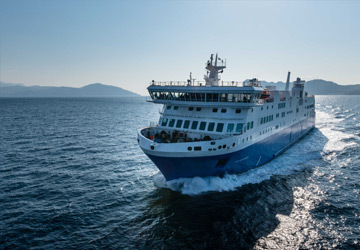 The Mykonos Naxos ferry route connects Cyclades Islands with Cyclades Islands and is currently operated by 3 ferry companies. 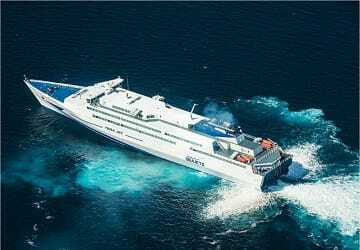 Cyclades Fast Ferries operate their crossing up to 14 times per week, Sea Jets 6 times per day & the Golden Star Ferries service is available up to 3 times per day. 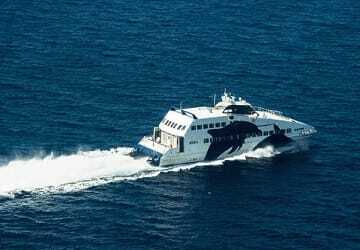 There are a combined 11 sailings available per day on the Mykonos Naxos crossing between Cyclades Islands and Cyclades Islands and with 3 ferry companies on offer it is advisable to compare all to make sure you get the best fare at the time that you want to travel. Prices shown represent the average one way price paid by our customers. The most common booking on the Mykonos Naxos route is a car and 2 passengers. 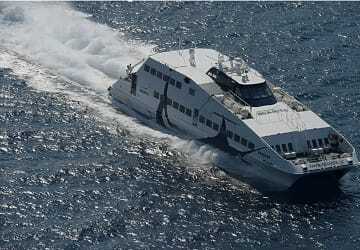 "Fast ferry service from Mykonos to Naxos"
Efficient & comfortable Ferry service. 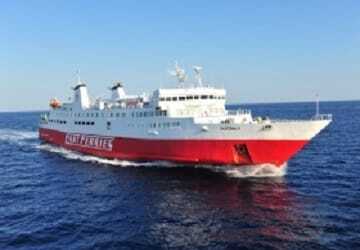 This was our first experience of the inter-island ferry system within the Cyclades. 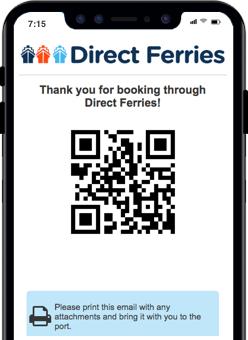 The online booking service provided by Direct Ferries was simple and efficient. The collection of our tickets at the port was totally painless and the trip was as expected. Good service, thank you. "Beacuse of the sea, it could be worse"
Let's stat saying it was windy (almost 30km/h), once in Mykonos we went to withdraw the ticket booked online. The ticket office is not really easy to find. Once we found it they told us there is at least 2hours delay. When we go back to the port they add another hours delay. because of the rough sea. Finally we depart at 8.30. Really quiet journey, no one felt sick the sea was really calm. Conclusions: if the weather is non good prepare yoursel to wait, but do not trust comments where they said that eveyone felt sick, it is really hard to feel something on this huge ship ( and with rough sea they cannot depart). I reccomend it. Punctual and with a good price. 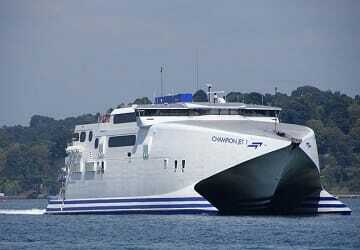 Really fast and comfortable ship. Even with rough see no turbolence. Comfortable seats. We want they same company for the return if you are going to use a different ship. Will see.